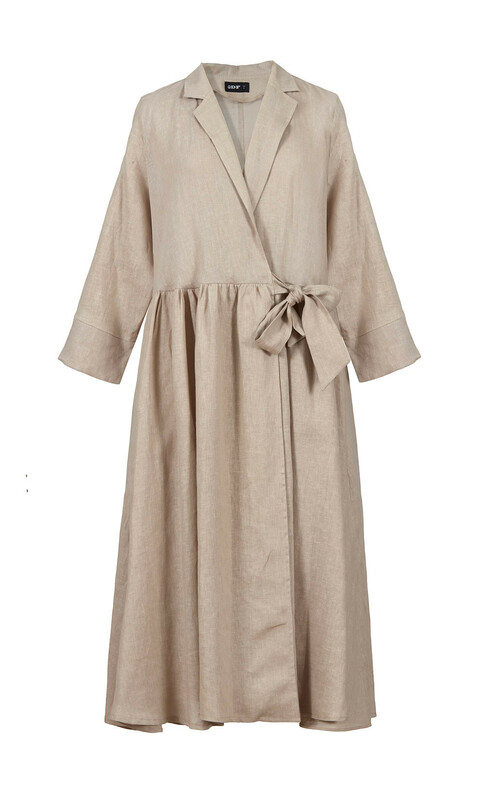 This DORIN FRANKFURT relaxed fit wrap dress,is tied at the waist . With wide sleeves, side pockets and tailored lapels it can be worn over trousers as a tunic dress. Wear yours with slides for day or sparkly high heels in the evening.